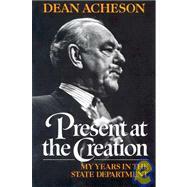 Dean Gooderham Acheson (ăch'ĭsən),1893–1971, was U.S. Secretary of State from 1949–52. Born in Middletown, Conn., he attended Groton School, matriculating at Yale in 1911, where he joined DKE's Phi chapter. Graduating from Yale in 1915, he went on to Harvard Law School, where he was a member of the Class of 1918. Acheson was private secretary to Louis D. Brandeis from 1919–21. He became a successful lawyer and was named Undersecretary of the Treasury in 1933, serving until he resigned in disagreement with President Franklin D. Roosevelt's fiscal policy. 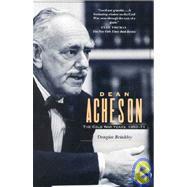 Acheson was Assistant Secretary of State from 1941–45, and a key actor in the Bretton Woods Conference. He was named Undersecretary of State in 1945 by Harry S Truman, serving until 1947. At the outset of the cold war, Acheson, as under secretary of state in Truman's administration, took charge of a White House briefing of congressional leaders on what became the Truman Doctrine. Until then, the legislators had not been overly impressed with the urgency of the need to pick up Great Britain's role in supporting Greece and Turkey. The under secretary painted a stark picture of Soviet communism poised at the intersection of three continents, ready to spread through the Mediterranean area down into Africa, westward into Europe, and eastward into the Middle East. At the conclusion of his remarks, Republican senator Arthur Vandenberg, chairman of the Senate Foreign Relations Committee, told Truman he would support the plan if it was put to Congress in those terms. Appointed Secretary of State in January, 1949, Acheson provided direction for the policy of using foreign economic and military aid to contain Communist expansion. He played an important role in establishing the North Atlantic Treaty Organization. His attempts to dissociate the United States from the Nationalist Chinese regime in Taiwan drew relentless attacks by Congressmen of his own party as well as Republicans. Despite his key role in the development of the containment policy, Acheson quickly became the target for Republican criticism of Truman's foreign policies. In part this was a reaction to Acheson's personality--he could be devastatingly acerbic. Fed up with criticism of American commitments to Europe, Acheson described his antagonists as "re-examinists." They reminded him, he said, of the farmer who pulled up his crops every morning to see how they were growing. But it was also a reaction to the twin setbacks of 1949: the Russians' developing the atomic bomb and the "loss" of China to communist-led forces. Republicans merely took advantage of the national sense of malaise to attack the steward of American foreign policy. Acheson made matters worse with his statement that he would not turn his back on Alger Hiss, convicted of perjury in connection with charges that he had passed documents to Soviet agents in the 1930s. Senator Joseph R. McCarthy focused much of his attention on Acheson's supposed role as protector of "card-carrying communists" in the Department of State, describing him as "this pompous diplomat in striped pants, with a phony British accent." Acheson's reluctance to dissociate himself from Alger Hiss brought personal abuse as well as attacks on his handling of loyalty and security policy at the Dept. of State. Returning to private practice in 1953, Acheson remained a Democratic spokesman on foreign policy and exerted considerable influence on the Kennedy administration. In his time away from government, he wrote A Democrat Looks at His Party (1955), A Citizen Looks at Congress (1957), Power and Diplomacy (1958), Fragments of My Fleece (1971), and three autobiographical works, Morning and Noon (1965), the Pulitzer Prize-winning Present at the Creation (1969), and Grapes from Thorns (1972). Acheson's law offices were strategically located across Lafayette Park from the White House. He was a member of the Yale Corporation and an unofficial advisor to the Kennedy, Johnson, and Nixon administrations. Nixon even had a phone installed in Acheson's winter home in Antigua. In 1964, Acheson received the Presidential Medal of Freedom.. He joined DKE's Mystic Circle when he passed away at Sandy Spring, Maryland at the age of 78 in 1971. "You see, you all start with the premise that democracy is some good. I don't think it's worth a damn. I think Churchill is right, the only thing to be said for democracy is that there is nothing else that's any better, and therefore he used to say, "Tyranny tempered by assassination, but lots of assassination." People say, "If the Congress were more representative of the people it would be better." I say the Congress is too damn representative. It's just as stupid as the people are; just as uneducated, just as dumb, just as selfish. You know the Congress is a perfect example, and created to be a perfect example." "Two days ago, Monday, former President Sachar of Brandeis University was here and talked about President Truman. He started off by saying, "Let me read you two or three paragraphs here about Mr. Truman, criticize that." "And I said, "All right." "And he began about how with totally inadequate preparation, education, and everything else, Mr. Truman was turning out to be one of the best Presidents, and went on and said, "What do you think of this?" "I said, "I think it's the goddamndest collection of clichés I ever heard in my life, and none of it is true." "Well, he said, "You agree that he didn't have any education." "I said, "I don't agree to that at all; he had a remarkable education." My younger daughter had TB at 19, after she had been in college one month, and just been married and her husband went off to the war, and she spent five years in Saranac and lost her lung; and in the course of that time she spent in bed she read and read and read and talked to all kinds of people. And she's far better educated than I am. I went to the best school, the best college, the best law school. That isn't the way you get educated. The point is what enters into your innards. "Suppose somebody sits under John Kenneth Galbraith for three years to get an education; a hell of a waste of time. Mr. Truman read every book in the Independence library, which had about 3,500 to 5,000 volumes including three encyclopedias, and he read them all the way through. He took in a hell of a lot more out of that effort, which he took out of farming when he did it, than he would listening to all of this crap that goes on at Yale and Harvard, and perhaps in other places..."